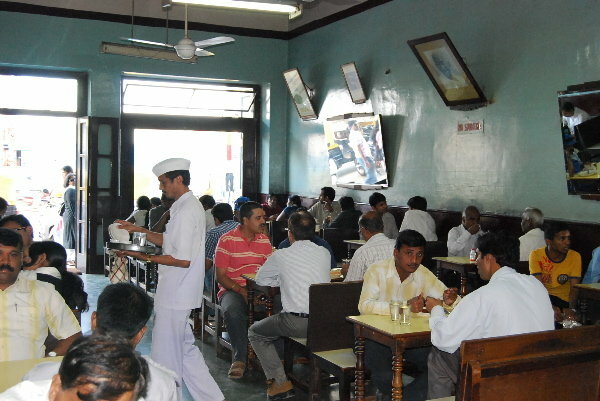 Like the Calcutta Coffee House, Bangalore’s own India Coffee House on MG Road is one of the city’s historical landmarks. 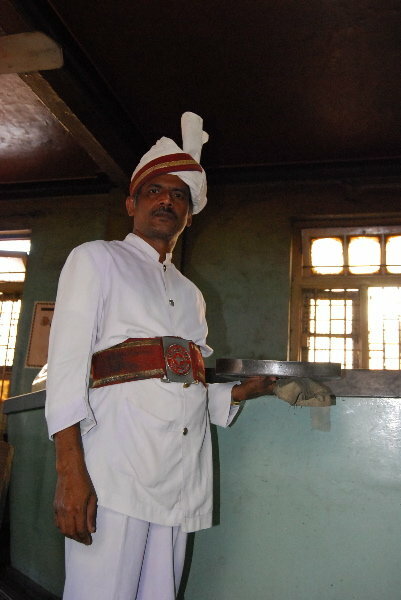 It’s part of a nation-wide chain of coffee houses run by the Indian Coffee Workers Co-Operative Society of which the Bangalore chapter was established in 1957. As part of my personal protest against coffee chains like Café Coffee Day and Barista, which remind me too much of very similar chains in other parts of the world, I try to frequent independent cafés which usually also happen to have more character and ambiance. The India Coffee House definitely has lots of both and stepping through its door is like stepping into the Bangalore everyone reminisces about. Though I have visited it several times since I’ve been here, I haven’t gone as often as I would have liked to. If I had known that it wasn’t going to be around forever, I definitely would have visited much more often. Now that there’s news of its imminent closure, I’m truly sad that this Bangalore landmark will soon disappear into dust and probably make way for one of those horrible glass structures which are slowly taking over the city’s landscape. The face of MG Road is also changing at a fast pace… in the past few months many old buildings have been torn down and trees have been chopped down to make way for the metro which will permanently scar this major artery. I was at the India Coffee House not too long ago… on a Sunday morning in December. The downstairs section was full as it often is, so we headed upstairs via the narrow outdoor passage and stone staircase. From the front window I had a good view of MG Road which is almost treeless now. There was only the trunk remaining of one of the huge trees and a worker was busy sawing its last remaining branch… A sad sight. 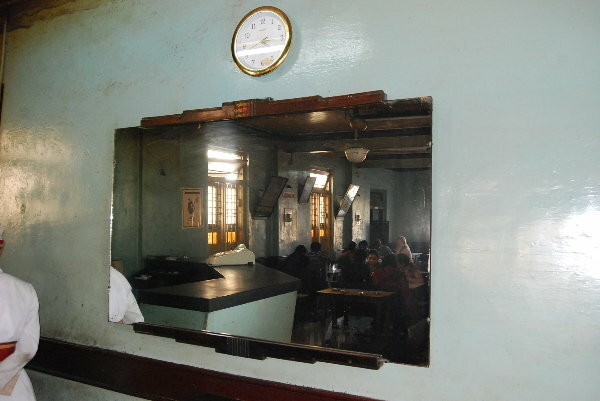 Inside the café, patrons were busy having breakfasts of omelettes and dosas. 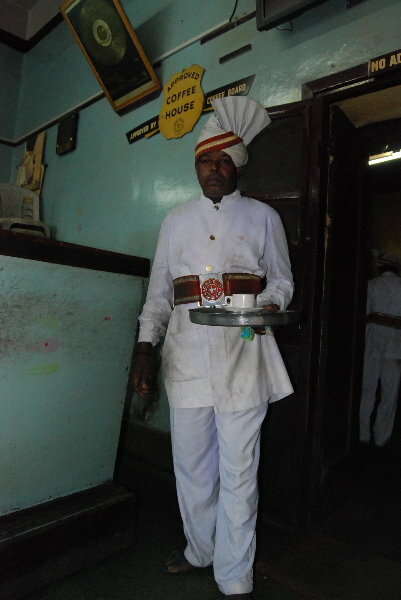 The waiters serving them were dressed in their trademark India Coffee House turbans and uniforms, elegant but completely filthy. 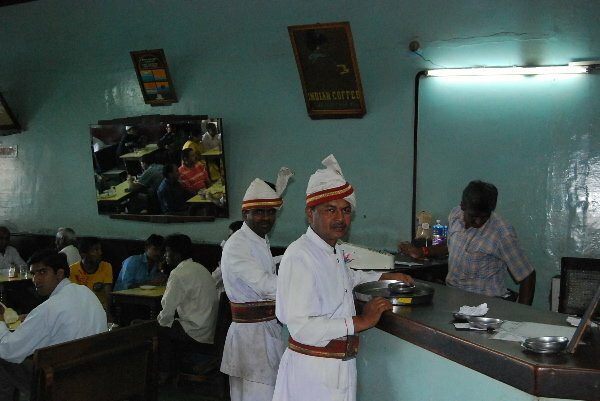 I sipped at my coffee and nibbled at my dosa and remembered that I don’t like their coffee or their dosas – you can get better South Indian filter coffee and crispier dosas at any of the city’s many sagars and darshinis! OK, so the coffee actually isn’t great, the café is more than a bit shabby and the toilets are definitely a no-go area, but all these things do not matter. These are just minor minus-points which I’m willing to easily overlook because I don’t go to the India Coffee House for the coffee. I go for that old-world ambiance and to get a feeling of how Bangalore once was, in a place that probably hasn’t changed for the past 50 years. There are reports that the lease has now expired and the café will be either renovated or demolished by the owner of the property. It may move to another location if a suitable one is found, but of course the original atmosphere and setting will be difficult to recreate. 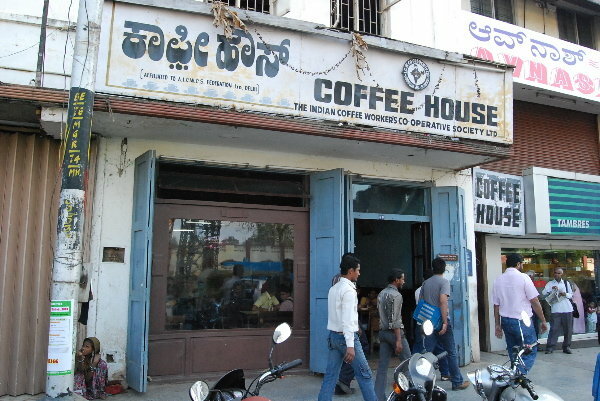 The India Coffee House will close its doors at the end of the month. I think many of Bangalore’s inhabitants and visitors will mourn the loss of this favourite haunt. Great blog. As a person from Bangalore now living in the UK, I found quite a lot that I related to! Another Bangalore institution that is about to disappear is the Premier Bookshop. Again, the lease isn't being renewed. If you haven't already been, I recommend a visit. Its an independent book shop with books stacked at all angles. Only the owner seems to understand the organisation of the books! Hi MLC, I love the Premier Bookshop and was sad to read that it's also closing down. Good news! The Coffee House will stay open another 3 months - until the end of May. Let's hope a solution is found in the meantime.